Take it everywhere and use it over and over again. It’s great for groceries, the beach, traveling or sports. It has zipper closing and can carry up to 44 lbs, that’s 20 kilograms! This reusable bag carries a lot and goes a long way. Not only is it water-resistant, it’s also fully washable. The sublimation prints will never fade. The Aruba Reusable Bag is ethically made under fair labour conditions from recycled plastic bottles (rPET) and is 100% recyclable. Besides being very handy it’s also a great and unique souvenir or gift idea from the beautiful island of Aruba. Who doesn’t love Aruba? 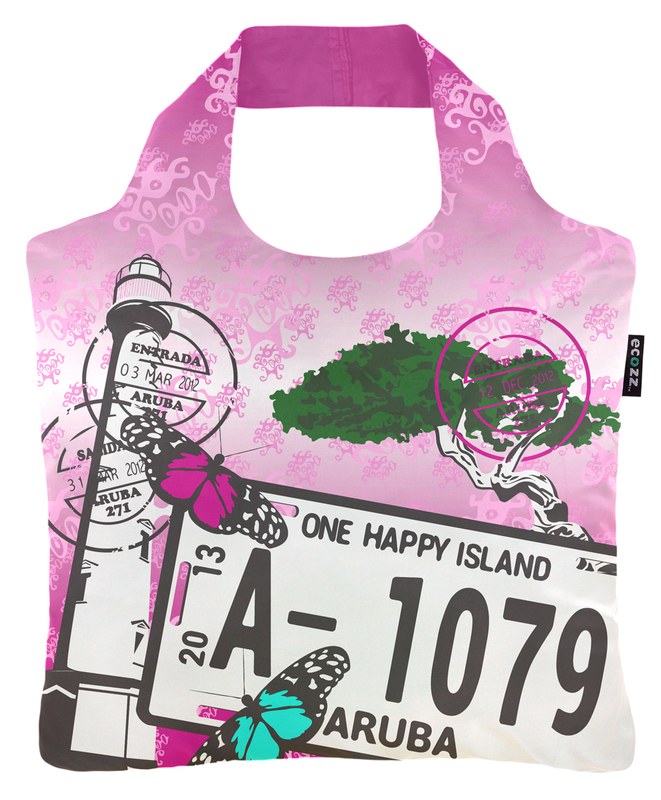 The Aruba Reusable Shopping Bag is not only very useful, it’s also a great gift or souvenir from the beautiful island of Aruba. We ship worldwide and you can pay safely with PayPal. No transaction costs. You will love how practical this bag is and the Aruba theme. Our mission is to not only raise awareness but also contribute to the greening of Aruba’s tourism sector by developing and offering useful eco and people friendly products. 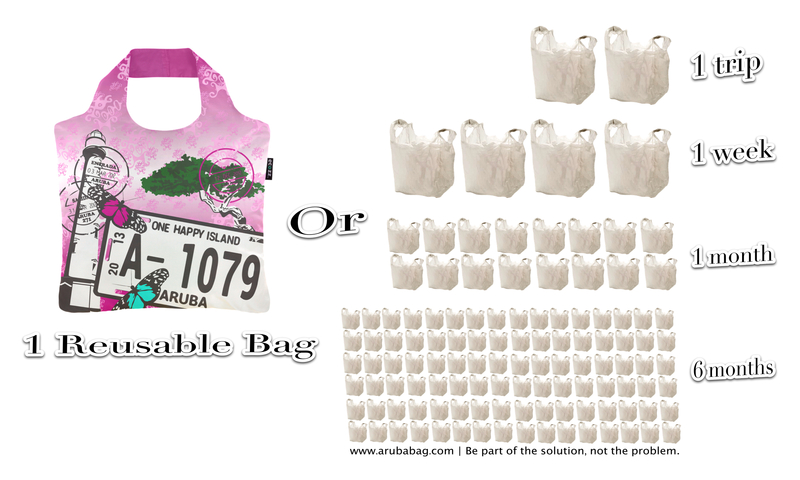 The Aruba Reusable Shopping Bag is an initiative by Vision Passion Action. Our headquarter is based in The Netherlands but Aruba is and will always be our home. The Aruba Reusable Bag can be folded in a compact pouch so that you can take it everywhere. Always an extra bag in your purse, backpack or car. To single-use plastic bags. The world consumes each year somewhere between 500 billion and a trillion single-use plastic bags. About 2% – 5% is recycled. Learn how reducing, reusing, and recycling can help you, your community, and the environment by saving money, energy and natural resources. Be part of the solution. Not the problem.